Give your iPhone or iPad 32GB of extra storage for just $19.71. It’s a limited time deal and one which will save you from a lot of storage related problems. Despite Apple moving towards 64GB of base storage in its iPhone lineup, many out there still rock an iPhone with 32GB or less storage. If you are one of them, then chances are high that you considering upgrading your phone to something that has more storage capacity. That’s understandable too. What if we told you that you can actually add 32GB of storage to your iPhone for saving your photos, videos and important documents by spending just $19.71? 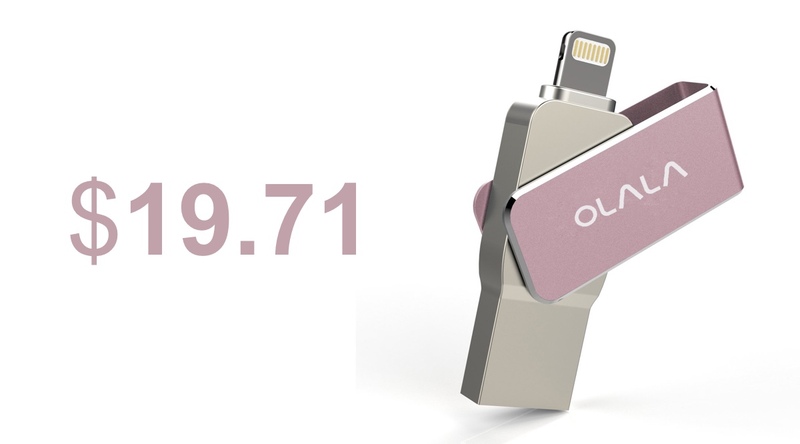 Yes, you can totally do that today thanks to this nifty little flash drive from OLALA. This flash drive connects straight to your iPhone using the Lightning port, and then you can move files around to your heart’s desire. 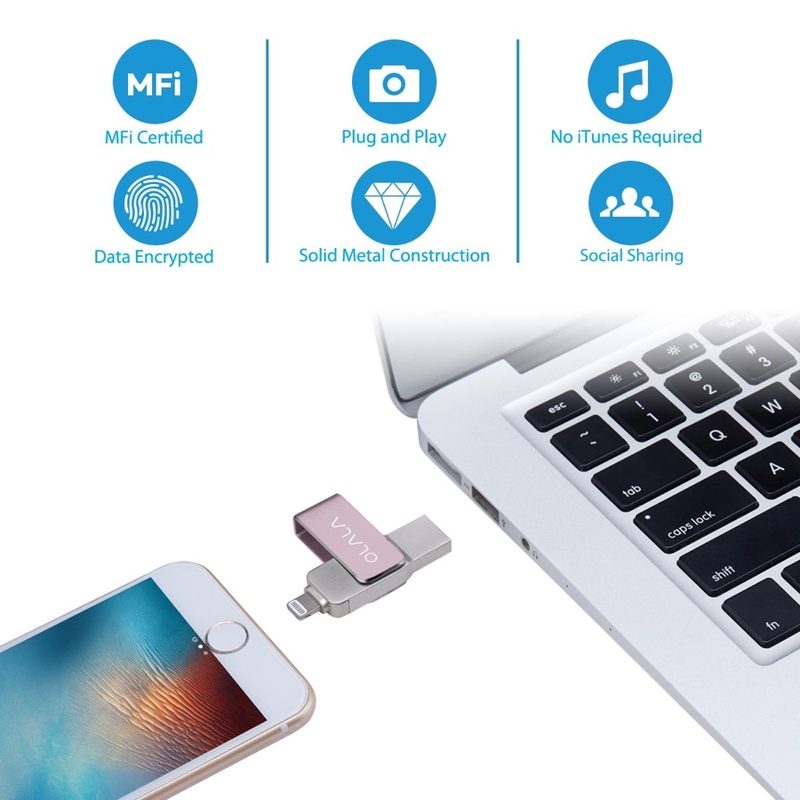 But wait, this flash drive has a regular USB-A port on one end as well, allowing you to move your files to and from your computer and straight to your smartphone if you like. Basically, with this flash drive in your pocket, you’ll be invincible. That USB-A port we metneionc supports USB 3.0 speeds, meaning that you will see blistering fast transfer speeds whenever you are moving files around. In other words: this flash drive does not know when to slow down. If you are interested in this product, head over to the Amazon link below. Make sure you enter the special discount code at checkout in order to get the discount, bringing the price down to just $19.71.